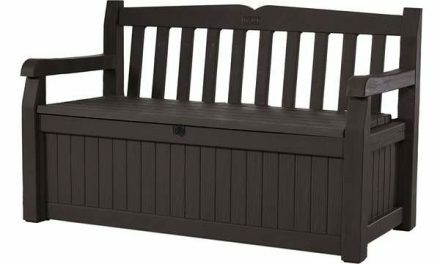 Use this deck box on or near your front porch to hide packages from UPS, FedEx and the post office. 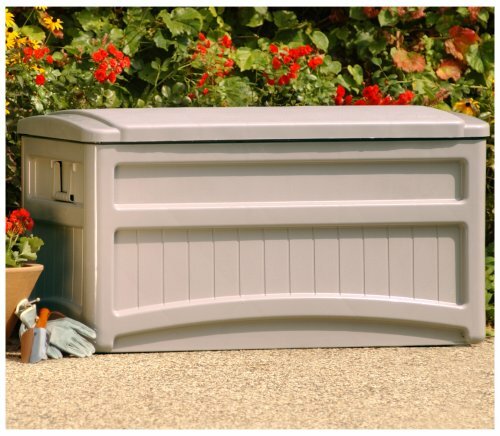 Having your deliveries left inside this deck box, keeps them from being seen from the street and may help prevent your deliveries from being snatched. 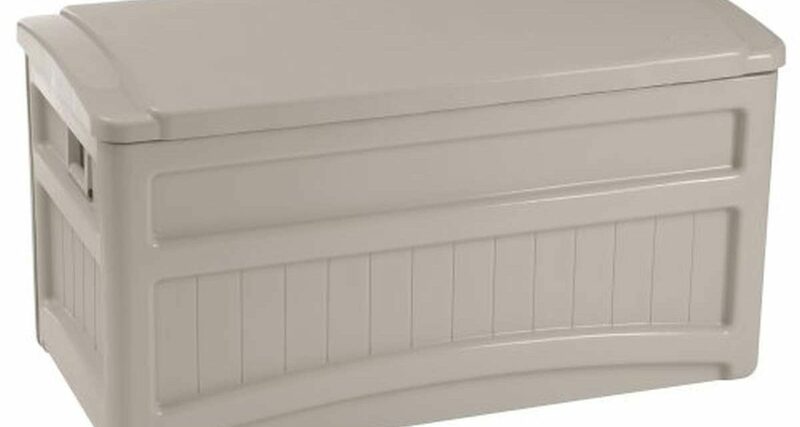 Dress up that patio, deck or porch with the arched, flat-panel design and stylish vertical grooves on this Outdoor Accessories Storage Box from Suncast. 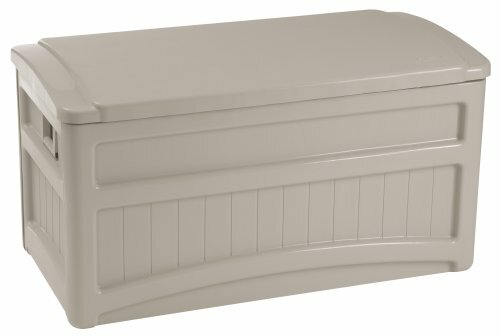 Perfect for storing outdoor furniture cushions and accessories, this storage box is equipped with smooth-rolling casters for easy transport over deck beams, stone patios and grass. Suncast's innovative stay-dry design keeps moisture and condensation out, for clean, reliable, long-term storage. 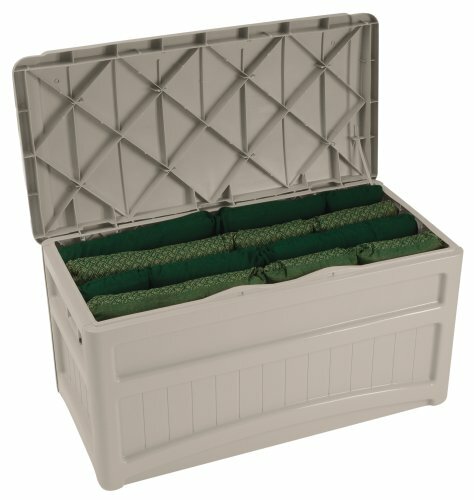 A durable resin construction ensures years of dependable storage. Plus, easy five-minute, tool-free assembly will have this unit at the ready shortly after delivery. Carrying handles make it easy to carry this unit up steps and lift it over thresholds.